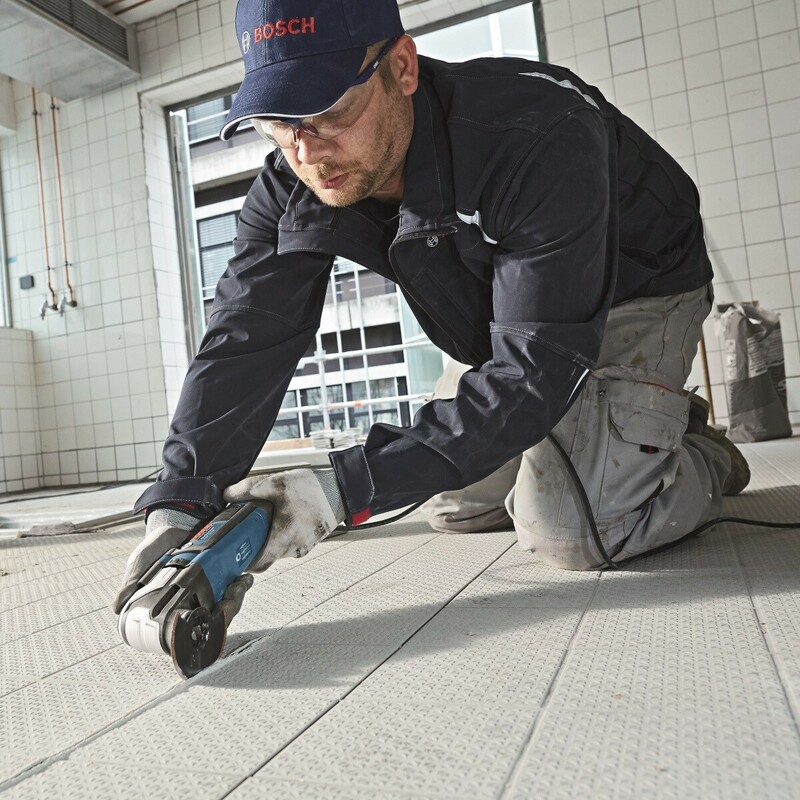 The Bosch GOP 55-36 Professional Starlock Max™ provides 550 watts and is the most powerful multitool in its class. It utilises the new ‘Snap-In’ StarlockMax™ system. ‘Snap-In’ functions in a similar manner to a ski binding: put the accessory in position, press the Starlock mounting system onto it and the process is completed. The accessory is already in place after these steps and the user can get started immediately. Especially suitable for high draw / heavy duty applications such as window restoration. 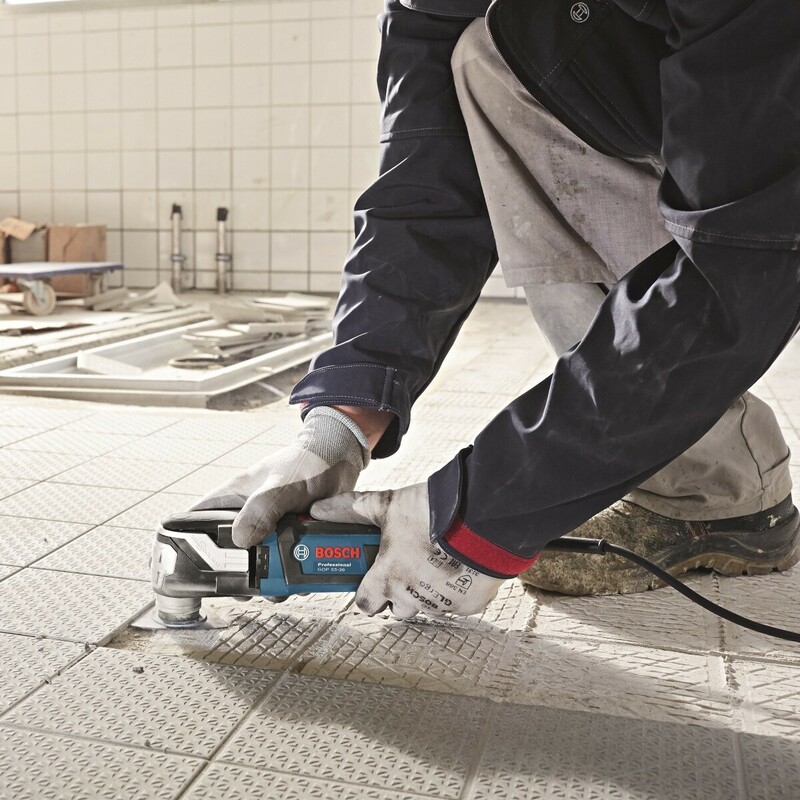 The new Starlock Max™ revolutionary 'Snap-In' toolholder with extensive range of accessories. 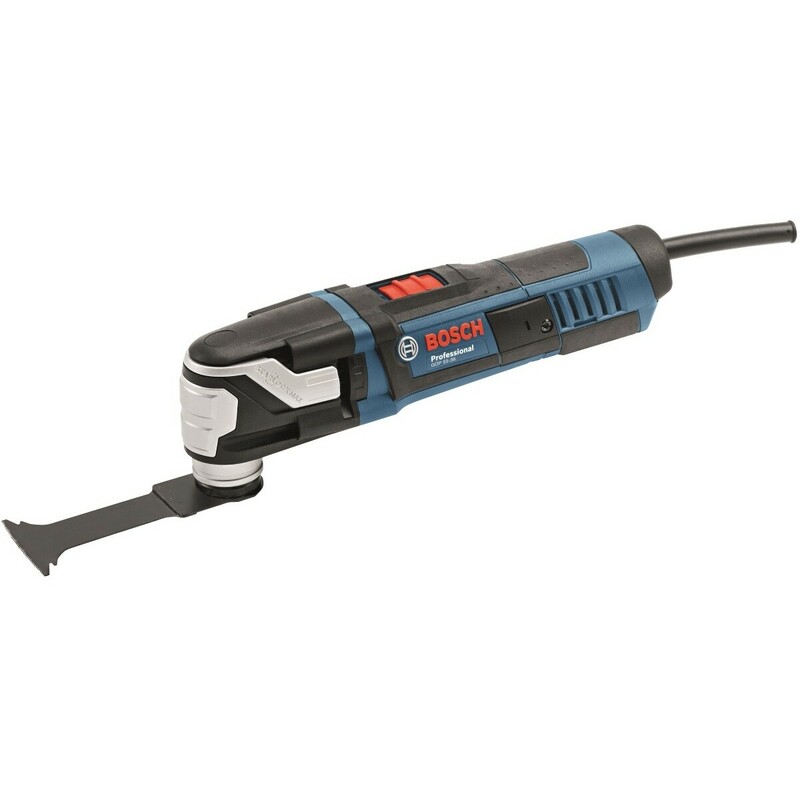 Most powerful tool in its class with 550 W motor. Metal front cap provides additional protection.